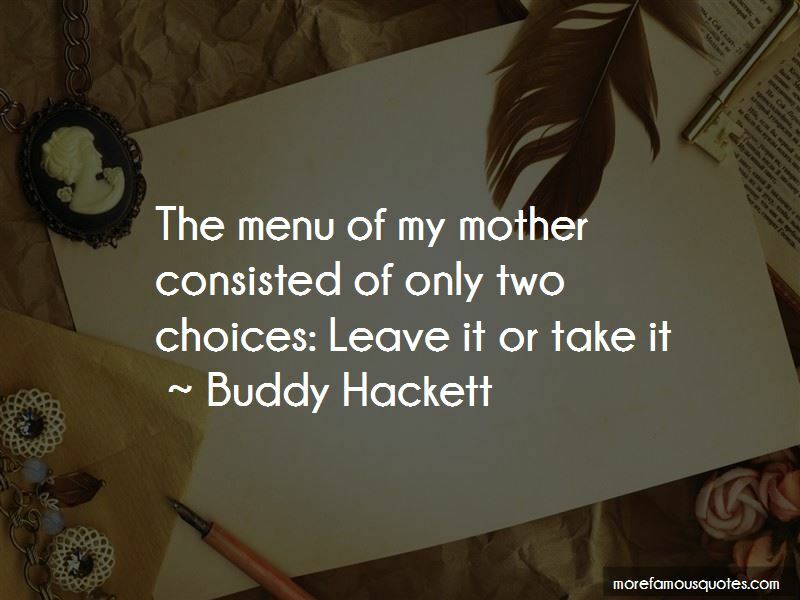 Enjoy the top 26 famous quotes, sayings and quotations by Buddy Hackett. You look up at drama, down at comedy. A singer, looking up is okay. A comic, it's death. I was born to be funny. Once when I was golfing in Georgia, I hooked the ball into the swamp. I went in after it and found an alligator wearing a shirt with a picture of a little golfer on it. 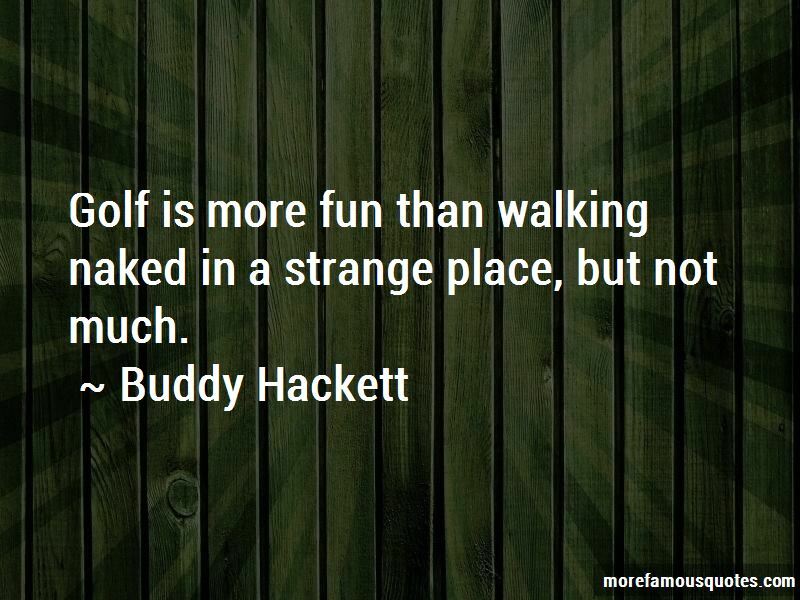 If it's dirty, it's not funny, but if it's funny, it's not dirty. 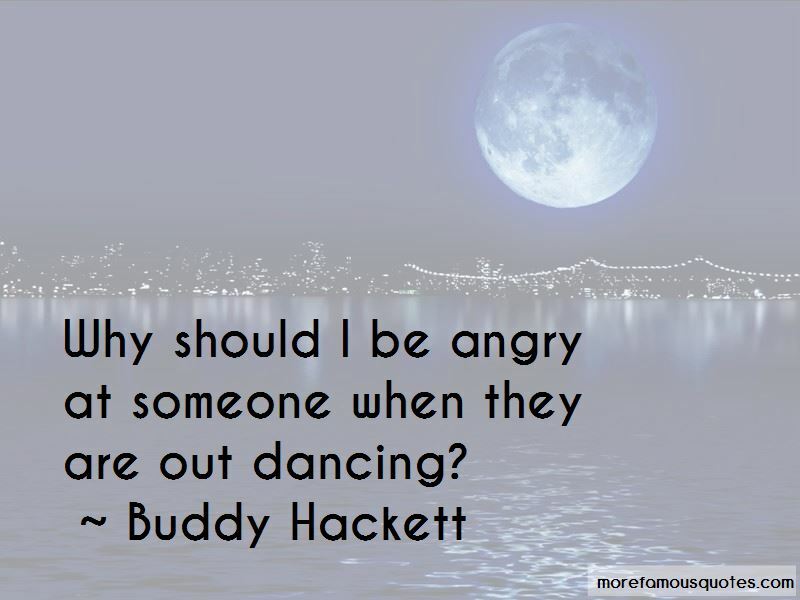 Want to see more pictures of Buddy Hackett quotes? 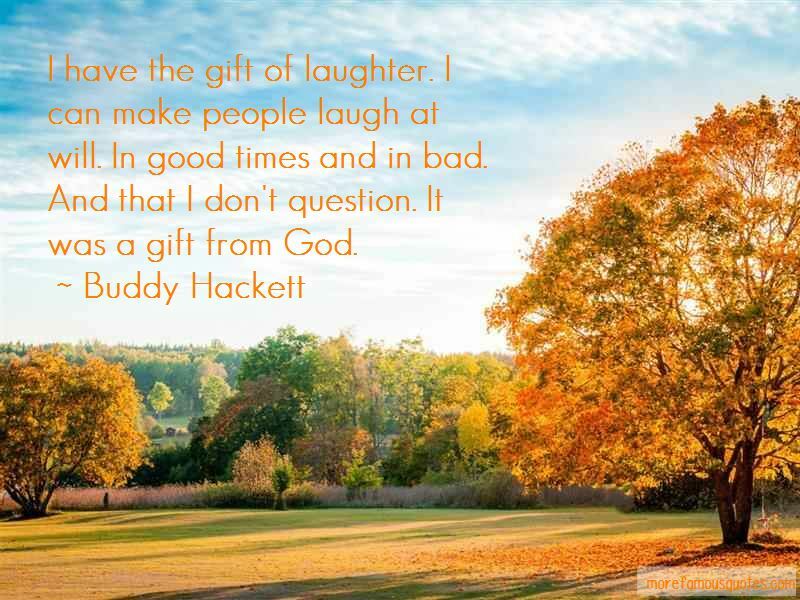 Click on image of Buddy Hackett quotes to view full size.